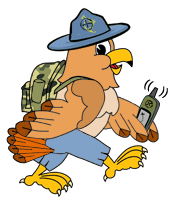 We at OpenCaching North America like to promote the fact that there are several Smartphone Geocaching apps compatible with our website (as well as several of the other OpenCaching nodes, as they’re called). We owe this to OKAPI, the OpenCaching API, and of course to the independent European developers who have written these applications. You can always access the list of currently compatible phone apps from any page on our website, at the link www.opencaching.us/articles.php?page=apps. Not a very fancy webpage, but it gets the job done. We aren’t going to get overly technical in this post, but an API, which stands for Application Programming Interface, could be described as a software to software interface, as opposed to an end-user interface. You could say that with API’s, applications talk to each other without any user knowledge or intervention. Basically, we give developers access to our database, through OKAPI. Keep in mind, in the case of Geocaching websites, this is not only used for smartphone apps, and a developer could easily write a third party Geocaching Statistics program, for Windows and/or MAC.We must admit, “stats programs” for any of the OpencCaching nodes are not in high demand. But as an example of a non-smartphone app use of our API, Scout from Gpsgames.org uses the API to display OpenCachingNA caches on his Google Maps powered cache maps, along with caches from Navicache.com, and caches and Shutterspots listed on his own website. We have mentioned in the past that OpenCaching.us uses an older version of the OpenCaching.pl code. As does OpenCaching.org.uk. OpenCaching.nl, due to the hard work of Admin harrieklomp, is up and running with the new OpenCaching.pl code, a feat which we aspire to accomplish in the future! And finally, OpenCaching.de, they came on board with OKAPI compatibility in April 2013. This took a year of hard work by .de team, as Opencaching.de does not use the same code base as the OpenCaching.pl based sites. OpenCaching.de is by far the busiest of the OpenCaching nodes, and as far as we know, still the 2nd busiest Geocaching website in the world, after Geocaching.com. So we at OCNA (and the whole Network) are excited that many, many developers are going to be taking a serious look at developing applications for our Network. As it stands, at least one developer a week requests a “key” for OKAPI. We get email notification of this. So let us close by reminding you we have smartphone apps! Five of them, to be exact, along with two others that you can send our .gpx files to. They are OpenCaching for Android ($4.99), GeoCaching Buddy for Android ($5.23), Columbus for Android (FREE), GeoCaching Buddy for Iphone ($7.99) and GeoBasic for WindowsPhone ($1.99, and has a free trial version). Additionally, you can send our .gpx files to the great c-geo for Android (will always be free, and full compatibility with OKAPI is planned) and Geosphere for Iphone ($7.99). The Blogger is one of five people in America who uses WindowsPhone, so he has used GeoBasic, and gives it a thumbs up. Have you tried using any of these apps with our website? Feel free to comment below! Post Update: Just four days before this blog post, on October 13th, 2013, the developers of the Geocache management software GAPP (a program similar to GSAK) registered with OKAPI, and announced OKAPI support starting with their latest version, 1.9.3.0. It’s disappointing to see most of the apps are not free. At this point in time there just aren’t a whole lot of caches in the OCNA, making it not worthwhile to pony up any money just to find the few that are out there. That is a fair assessment, Tim. I guess I should have mentioned that out of the 5 fully functional OKAPI apps, 4 of them ALSO work with Geocaching.com. The only one that doesn’t is OpenCaching for Android. And of course the two referenced apps you can send our .gpx files to, c:geo and Geosphere also work with Geocaching.com. And c:geo will always be free, and will eventually be OKAP compliant.